The daily routine encourages bonding time for the boys with Edric, and it helps to regulate the activities during the day. They need to sleep early to wake up by 6 AM, and it helps to kickstart their minds and bodies for the academic rigor that begins at 8:30 AM. Since we have been traveling this schedule has been affected but they will be getting back to it. I appreciate that Edric followed through with his commitment to be on top of the boys’ physical development. 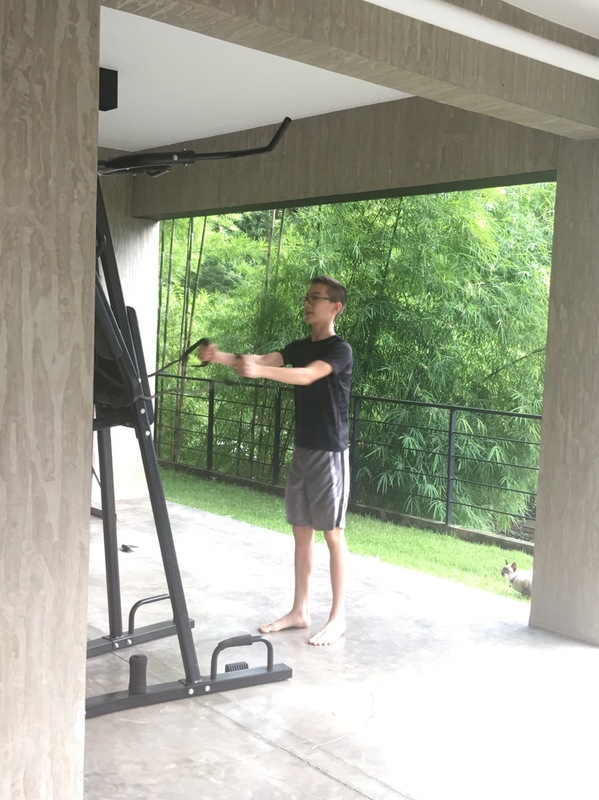 One of our family values is to be good stewards of our bodies and that means healthy food, rest, and exercise, not just for Edric and me but for our kids, too. Because they get to be with their dad, the boys are motivated. Plus, they compete with one another. They do push-ups, use elastic bands, very light weights lifted many times (super light so they don’t affect their growth), ab workouts, and high intensity interval training. 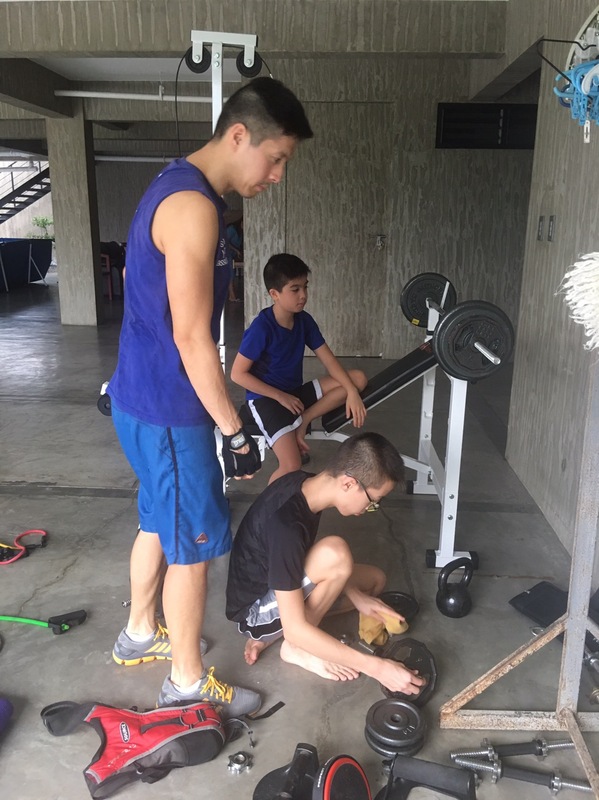 One of the reasons why Edric initiated this exercise regimen was because our boys didn’t have a PE program or sport that they were doing daily. There was also a season when they were starting to get lazy as well as paying too much attention to screens rather than getting outdoors. One of our sons started to get soft in the middle, too. Thankfully, his belly is not so “jelly” anymore. I did take him to a pediatric endocrinologist just to check if he is on the right track for his height. The good news is he is fine so far, but what I most appreciate about her is that she confirmed how important it is that kids get daily exercise and good nutrition. She confessed to me that she gets discouraged when kids come into her clinic with adult issues — heart disease, obesity, diabetes, and hormonal imbalances even before the age of twelve! 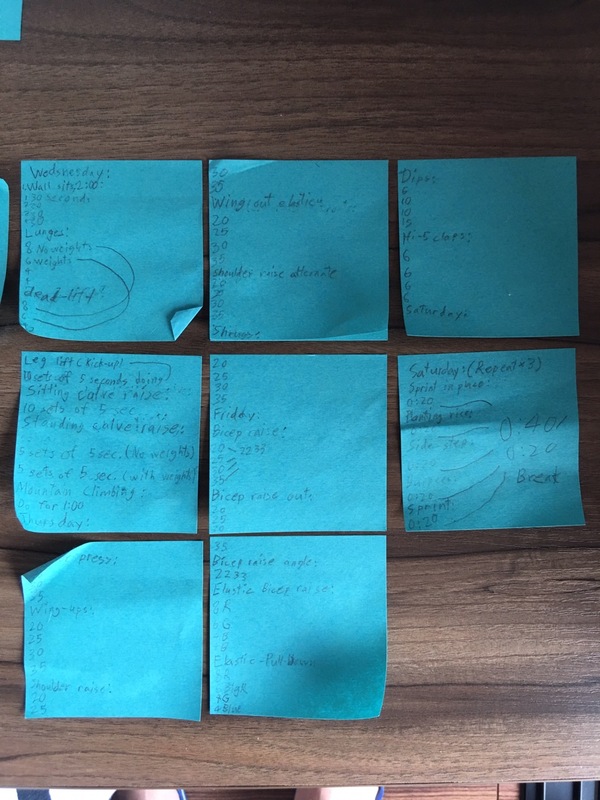 So she re-emphasized what we have been telling our kids…avoid lots of sugar, get good sunlight, exercise, drink lots of water, and eat healthy food. 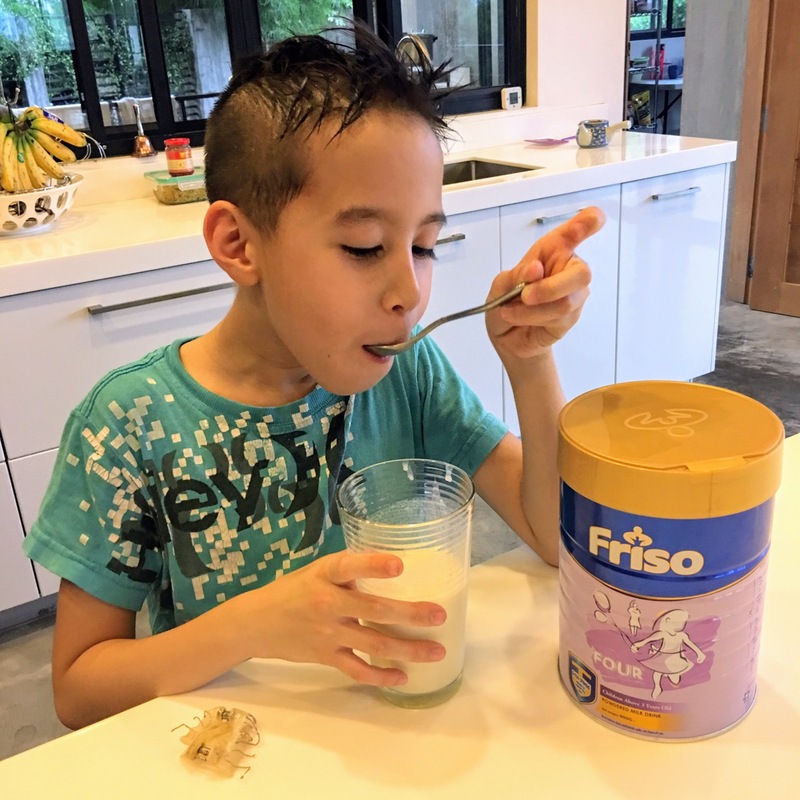 To supplement my kids diet as they workout, I let the boys drink Friso (which is more for my girls rather than for them), because of the protein in it. 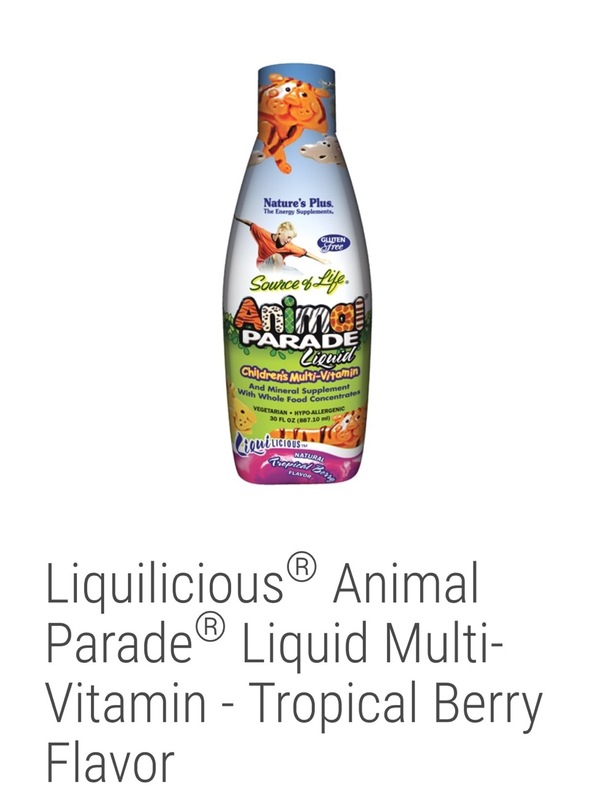 My pediatrician also recommended Animal Parade Liquid vitamins from Healthy Options for Titus since it helps with weight gain. He is very thin. I had to stop him from eating red and brown rice, and switch him to white rice to get more calories into him. 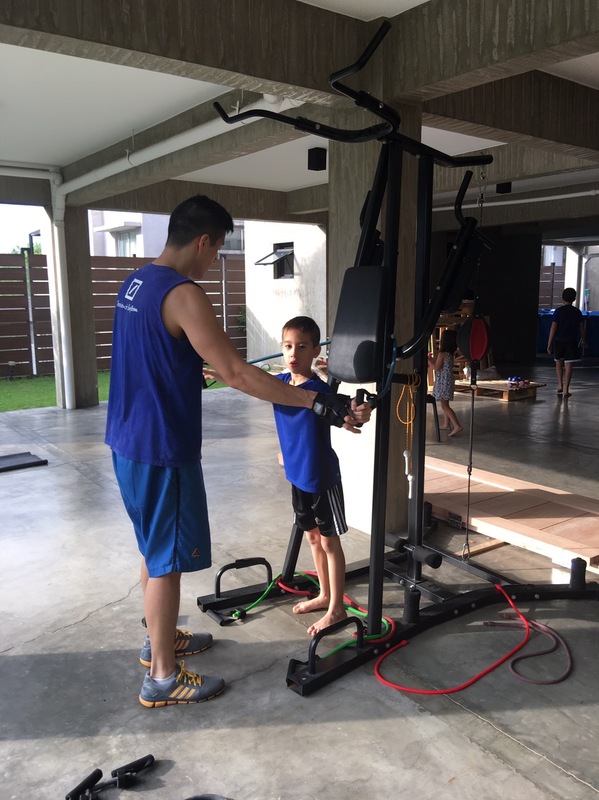 Well, I praise God that Edric has been on top of our sons’ daily exercise. I can’t do what he is doing for them. Next The S&R Member’s Treat is On! estimated one billion adults are overweight and most 300 million are obese. If you’ve been overweight, you will know a lot of the stares coming the right path haven’t been positive. your age but you most certainly have been in power over your lifestyle.